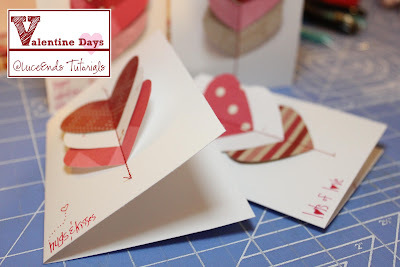 These cute cards are pretty basic to make and are very scrap-happy. Begin by choosing cardstock for your cards. You can get 2 cards per 8.5" x 11" sheet of paper. Cut card size is 7" x 4 7/8." 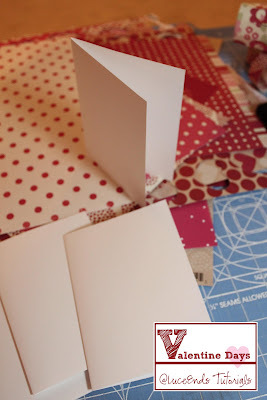 Fold cut pieces in half to form cards. 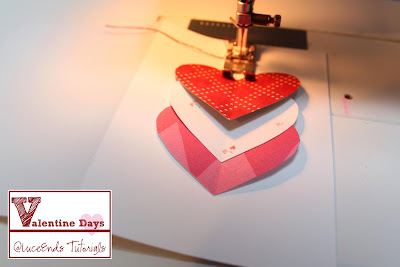 Next create a heart shaped template in a size you like. 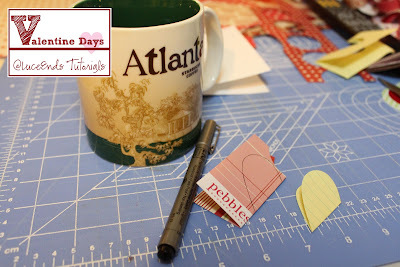 You can also used die cut hearts if you've got them. I just folded a piece of scratch paper in half and cut out a heart. Trace your template onto your scrappy Valentiney papers, 3 patterns or colors for each card. Cut your hearts out and arrange them in an order you find pleasing. 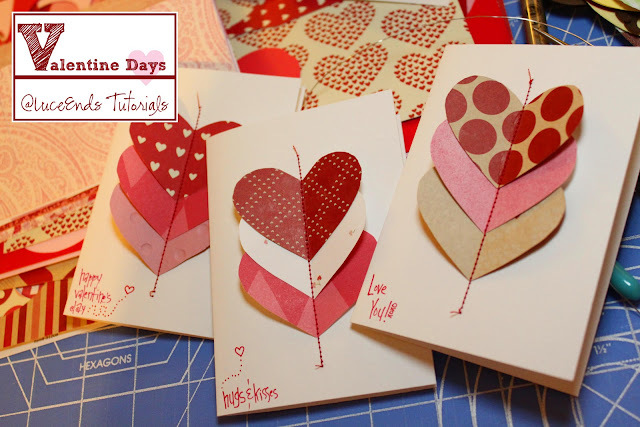 Center your sets of 3 hearts on your card front. Holding them in place carefully, sew down the center of the stack. Start about a half in above the heart and stop half an inch past the last one. It is pretty easy to get this straight if you just sew down the center folds. Now you can add more embellishment if you like! I used pigment pens to write some greetings on the exterior of the cards. You could use glitter, rubber stamp greetings, or more stitching.